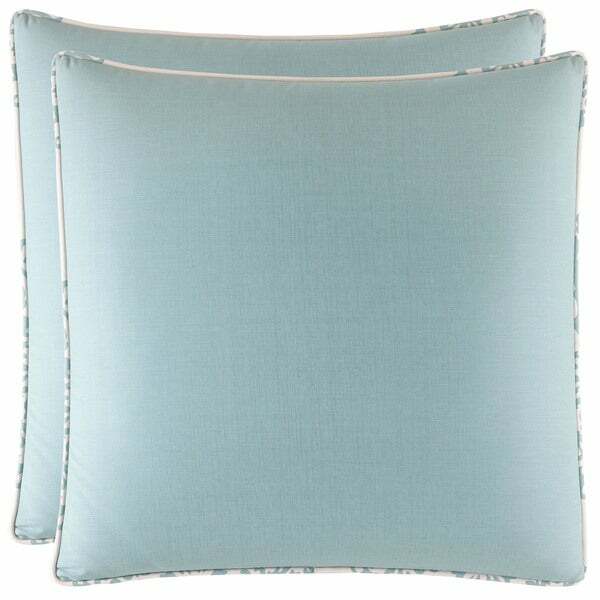 Upgrade your living space with these delightful blue European sham covers. A subtle stripe design completes the look, while a nice zipper closure adds convenience. A cotton sateen weave makes for a soft, durable, and stylish piece. We bought the stone cottage bristol duvet cover and these go beautifully with the set. They are a matte cotton with a slight monotone stripe in the pattern. 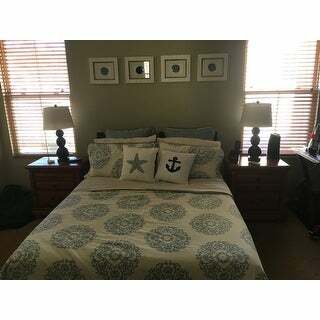 European shams look wonderful with the coordinating comforter. Love these. These are a great addition to the stone cottage Bristol comforter set. These shams are easily washable and keep color and size well after many washes. 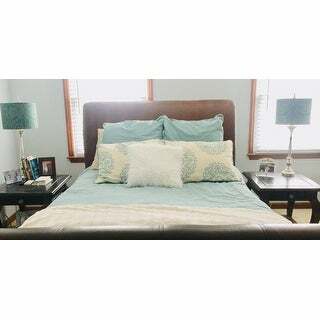 I guess by looking at the pillows, they looked liked a soft blue . They were a medium blue. They are softly striped. I was disappointed in the color but are made well and has a nice trim. Great Euro Shams, nice quality. As always, my purchase of my Euro shams are beautiful! Very nice material and the color adds the pop our beachy comforter has! The color is true to what shows in the picture, closer to a seafoam... i love them! Thanks overstock! Great qualiry for a great price! These shams match the Stone Cottage Duvet set perfectly. Hoping to find a bedskirt from the same line to complete my daughter's dorm room! Adds a nice touch to the bed! Beautiful color ! Great quality and material is really good! The shams look really nice on my bed and it gives my bedroom set an elegant look!! Love that it was so easy to order and quick delivery. Soft and fit the Euro pillows well. Shams look great on bed. Perfect match! More green. Donated it with the bedding. Great turquoise color that blends well with the turquoise accents in the room. Love the color. Goes beautifully with bedding. Came quick! "Is the "2" piece set two zippered covers or is it 1 zippered cover and 1 insert? Thank You for all responses I might get." This set includes 2 zipper covers.